Think before you buy/rescue/take on.. Welcome to our rescue forum. 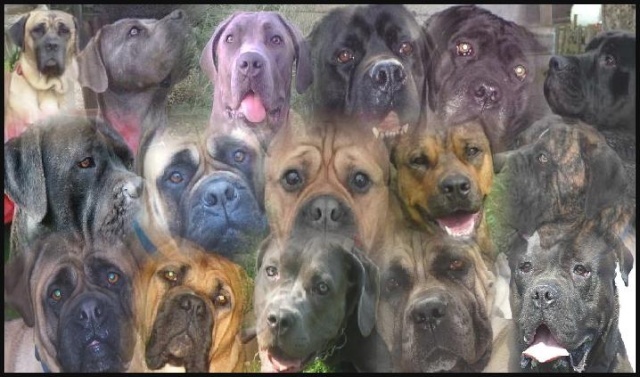 Sadly every breed has a need for a rescue and the Cane Corso is no exception. Still a relatively unknown breed in the UK but becoming more and more popular. Like many molosser breeds they are not a dog to be taken on lightly and need the correct handling, training and care. We are committed to rescuing Cane Corsos in the UK (and other Molosser breeds) and finding suitable homes for them where they can live happily for the rest of their lives. There are all sorts of reasons Cane Corsos are re-homed as sometimes situations beyond anyone's control make it necessary for people to make the difficult decision to re-home their dog. Sometimes however, people purchase this breed for the wrong reasons and come to realise this breed is not suitable for them. In most situations, the breeders who sold these dogs will not help these people try and re-home the dog and people are left to re-home the dogs themselves.. Please let us know before you give that dog away/Dump/or have it pts.. The reason I found this site is that I met my very first Cane Corso puppy recently and did a google search on the breed as I had never heard of them before. The puppy I met was absolutely adorable, but had already had to have lots of dental work done due to the very dubious breeders he had been bought from. Then his new owner went on to tell me that he had bought this puppy to be a guard dog. I won't repeat my reply on a friendly forum such as this. Subject: Re: Think before you buy/rescue/take on..